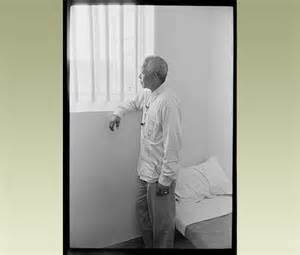 Nelson Mandela on a visit to the prison cell where he was confined for 27 years–that is a long, long lot of days and nights–and yet he spent them in peace because he forgave his enemies and grew to believe in the transforming power of radical love. ― Nelson Mandela, who took “love your enemies” to heart like few people ever have. Thank you for posting on the death of Nelson Mandela. He was a light in this world, and I can only hope that he’ll be a light in the spiritual world now.